A new university course for seniors has helped to highlight the opportunities offered by the internet and technology age by teaching a course of blogging for over 50s. 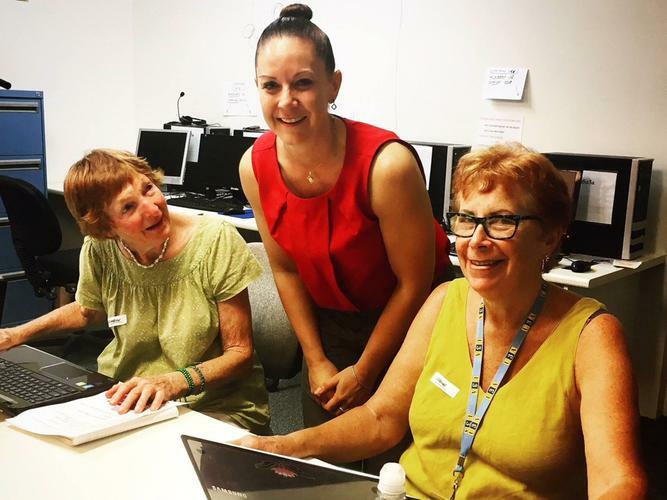 The two blogging courses, run by the University of the Sunshine Coast (USC) through their University of the Third Age (U3A) branch, ran over two weeks last year attracted and around 20 students aged over 50. With the initial idea behind the course to offer older people a place to share their knowledge, experiences and history with future generations, USC academic and lecturer in Public Relations Dr Karen Sutherland says she was “pleasantly surprised” with the topics her senior students chose to take on in their blogging instead. “Family history tends to die out because it’s not shared anywhere [and] I think blogging is an amazing way to capture that history,” Dr Sutherland explains. “A lot of the time passing down family stories and experiences are often verbal and can vanish when people pass on, but by writing it all in blog form, you’ve got a record that you can privately share with family right across the world - using text, images, videos and links to make it richer. “Blogs are also a very chatty way of writing so it’s also a very personal way of future generations learning. “When I introduced the class to blogging initially I gave them a range of functions a blog can offer, including for family history, but no one went that way. Among the topics Dr Sutherland’s students chose were genetically modified foods, gothic horror fiction, life and death on the Ganges River, and even photography. Dr Sutherland adds that as well as offering older Australians a chance to learn a really great skill, the course offered an opportunity for its participants to become more connected with both the community around them and the community online. “The way things are moving, technology is becoming an essential skill,” she explains. “By becoming connected, especially through an online blog, it means that if there comes a time when you can’t get out and about, you can still connect with other people. 71 year old Ingrid Gane is one of Dr sutherland’s students who not only took hold of the opportunity to share her extensive experience and expertise in the area of photography through her own blog, but also the opportunity to connect with people around her. When asked about the course, Mrs Gane says she enjoyed it because of how it was taught - in plain english without any “jargon”, also adding that it was a great way to build new friendships with fellow course-goers. “The course is there to enjoy yourself and to make friends,” Mrs Gane says. Dr Sutherland reiterated this point made by Mrs Gane, promoting the benefits of being around people of similar interests. “It is good to interact with people who have similar interests as you especially as there are so many niche communities out there now,” she says. Dr Sutherland says that the course proved popular among its participants and has made plans to pursue a new avenue of teaching for some of the students in 2018. “We had a lot of fun doing it - it was a fun experience for all of us,” she says. “I haven’t nailed anything down just as yet, but I am thinking the next course will be around graphic design app Canva.